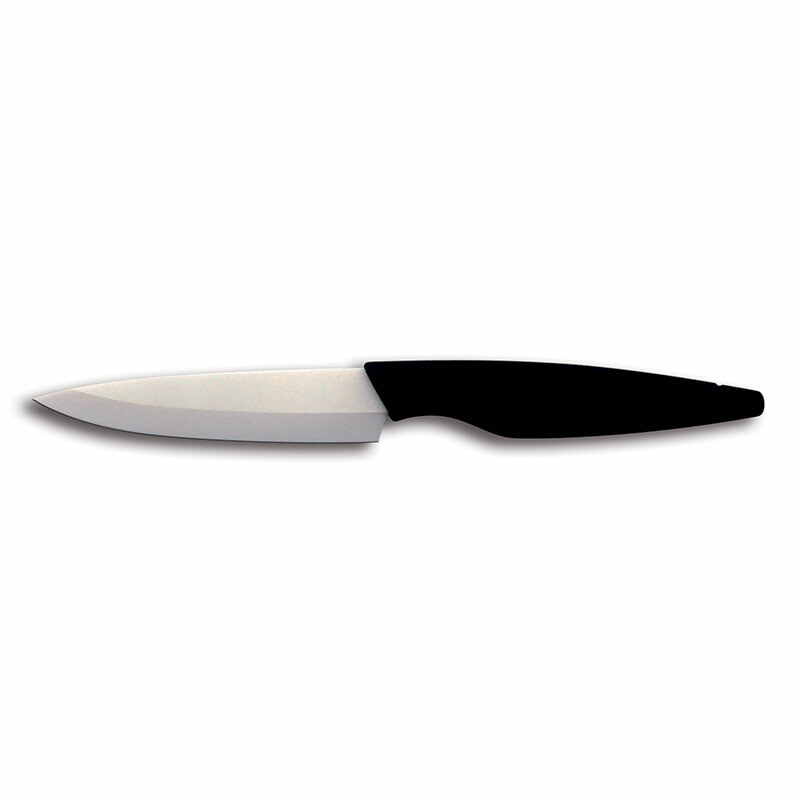 The white blade of these steak knives from Le Couteau du Chef range is made of very pure and high zirconium oxide content. This material famous for its hardness and its abrasive property similar to diamond ensures an amazing cutting power. These robust and very sharp steak knives enable the easy and perfect cut for your meat: rib steak, prime rib of beef, poultry… they can also be used for other culinary preps such as vegetables for instance. The Made In France knife manufacturer TB Groupe brings extra care to the finish of these 3 steak knives. 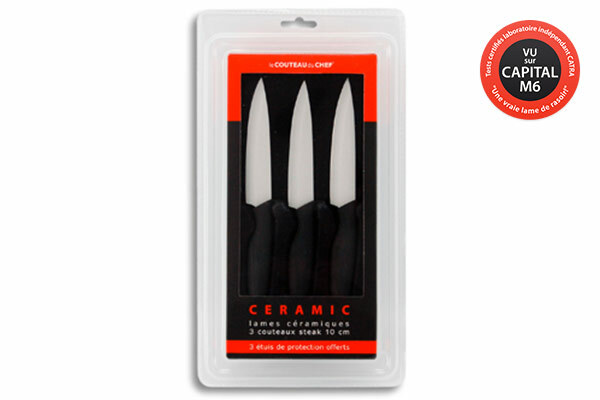 Polished by hand, they have a modern and appealing design: they will enhance your kitchen décor while keeping their real pro kitchen knives specificities. Their ergonomic ABS handles are very sturdy and very pleasant thanks to the soft touch coating.